I am considering purchasing a Ninja for juicing (I like pulp) and food processing. Does the Mega make the pulp finer? I don’t want to spend that much extra $ if I would end up with fhe same product. Thanks!! I think it is probably debatable if the mega makes the pulp finer, as the blade design is exactly the same in the Ninja Pro, Ninja Kitchen System, and Ninja Mega – a triple blade that goes through the center. The single serve cup makes finer pulp than the 72 ounce jar due to the blade design (more of a traditional blade on the bottom). So, if you like pulp and want to save $$, I would say you will be just fine with either the Ninja Professional Blender or Ninja Kitchen System. I like the single serving option. I forgot to mention that. Would the Pulse do as good? Thanks so much for taking the time to reply. You know, I really love my Pulse and use it almost daily. We are doing a whole house remodel and I don’t have a lot of space right now, so it stays out and everything else is temporarily put away. The 40 ounce pitcher is a good food processor, and the single serve cup is highly capable, especially for single smoothies or juices. It only has half the power (700 watts vs 1500) of the Ninja Mega, so, it’s not quite the “powerhouse,” but it is definitely capable for its cost and size, and is much better than a standard blender. It is fine for juicing (both pitcher and single serve), but you could get into some situations with needing a little more power here and there if you’re blending something really dense. The way out of that is to simply pulse what you’re blending instead of trying to steady state blend, in those rare instances. The default for the Pulse is to pulse, but it does have the capability to steady state blend simply by holding down the cup or jar lid – there is only one speed when steady state blending, though. And, of course, the cost is just fantastic as compared to its bigger siblings. If you are looking for simplicity and single serve blending, it would certainly do the job! I would like to make some tomato juice out of my extra tomatoes this year from my garden. 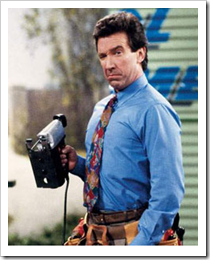 I was wondering if you thought it would do a proper job. Thank you in advance for your input. That’s a good question. My gut reaction is yes, it is in fact possible, but you will have to strain the juice. However, I have not tried to make tomato juice. I’ll pick up some tomatoes this week and give it a whirl and let you know. so I live my ninja for everything but carrots and broccoli. I think I need to grind those separately. Stiil a bit thick for me. I am soooo excited I found your page!! I just got my Ninja Mega Kitchen System tonight (it was a Christmas gift, but required an exchange– I ended up with mine for only $14 out of pocket!) and I cannot wait to make my green smoothies!!! As well as finding out all the other great stuff it can do– hopefully I’ll have some recipes to share!!! Exciting that you made it work out to get a Mega KS! 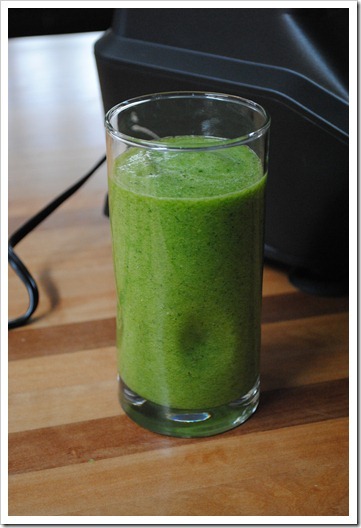 It makes fantastic green smoothies – have fun! If you want straight up carrot juice, you’ll probably end up straining it since they are not super watery like an apple or orange. Just add a few ice cubes or 1/4 cup water to your carrots, blend, and then strain for more traditional pulp-free juice. I have put carrots in a bunch of my “blends” where I mix up a few different fruits and veggies, and it works just fine. Lately, I put in a beet, a carrot, an apple, and an orange, and that makes a pretty decent (thick) juice. There is no discernible carrot pulp, so I’d say they work pretty well. Hope that helps! I was wondering how it does with crushing strawberry and raspberry seeds? I like pulp, but don’t like to drink a smoothie and bite down on seeds. Does it pulverize the seeds? Thanks! I wasn’t sure about this, so I made the following smoothie for breakfast: 1.25 cups rice milk, handful raspberries, handful blackberries, handful blueberries, 1 scoop protein, 1/2 avocado. And, the blackberry seeds didn’t get pulverized. The raspberry seeds are indiscernible, but there are definitely still blackberry seeds. Thank you for this great write up on the new ninja mega kitchen system. I bought a centrifugal juicers and was very excited about the possibilities of losing weight and being healthy. My wife and i juiced for a little over a week and had sensible meals for dinner. We both lost 25 pound all together in a weeks use. So after using the centrifugal juicers i noticed that the pulp was still wet/damp and started rerunning the pulp to get my moneys worth. I thought to myself their has to be a better way of doing this. Saw the ninja mega on the tv saw them demonstrate the juicing capabilities and thought to myself, bingo. I don’t have the money to blow on this thing and it not work that well. So for a couple weeks now i have been trying to see if it really is good at juicing and i found your site. It is great to hear that this product does work well. I can’t wait to get back to juicing so my wife and I can continue to lose weight and feel great. I’m glad to help! I just finished a nice green juice of spinach, frozen pineapple, frozen mango, kiwi, cucumber, and mint. I added about 6 ounces of coconut water in lieu of ice to help it blend. You can definitely make juices in the Ninja Mega KS! And, you won’t have all that pulp as waste (or to clean out of a machine). Good luck, and congratulations on your progress so far, that’s fantastic! Hi there! I just bought a mega system and do you have suggestions for how to fill it for a green smoothie? I put my ice andfrozen frozen fruit at the bottom and loaded the top with kale and spinach. The bottom blended but the top did not. I had to remove the lid and scrape down. Any suggestions or advice I would welcome. You definitely want the ice and frozen fruit on the top — that will help blend your smoothie better. The order I do is this: 1) liquid and hard veggies like cucumber, if using 2) greens, 3) frozen fruit and ice. Pulse a few times to get started, and then blend for 1-2 minutes on 3 until fully combined. Thank you I will try that tomorrow. One more question that I did not see an answer for in the booklet. Does the ninja automatically stop when blended? That is a great question that no one else has ever asked! The Ninja does not stop automatically when blended. It is up to you to determine when to stop it. The only time it would stop automatically is if the machine overheats (which I have never had it do). Thank you so much for your help! I just wanted to say that you and your website with all your useful information is the reason I bought the mega system. I was looking into the vitamix and blendtec. I just could not wrap my head around the cost between 470.00 and 500.00. I purchased the mega at Kohl’s on sale and had a 30% off coupon and got 30 back in Kohl’s cash..which I count as money off the purchase. So I walked out of there with the mega for 130.00! Aw, thanks Lauren. I’m glad you found the site helpful, AND that is an amazing deal you found!! Nice job! Thank you for the fantastic review. I have been debating the Kitchen Ninja purchase for some time. I’m still on the fence about the actual purchase (for financial reasons) but this helps me to discern the product and its capabilities itself. I still feel there are questions that I have not yet thought of, but will continue to read your pages to help make my decision. If there were any reservations that a person would have about this machine, what would you say that it’s lacking? 2) The plastic jar is seen as a negative to some. I see it as a pro and a con. A glass jar this large would be so heavy! But, plastic is not as durable as glass, so it can get scratched if you are not careful. Other than that, I really can’t think of any. I have been using my Mega KS for 5 months now with no issues. I also have a Ninja Pro that has been going strong for 2+ years, and a Ninja Pulse that has been great for 1.5+ years. The Ninja products are durable! I am SOOO happy that I came across your site! The UPS man just delivered my Mega Kitchen System 1500 today and I am so excited to try it out! I had been looking into a vitamix for awhile, but even though I know they work great (my sister & several friends have one) I just couldn’t bring myself to pay that high dollar amount. I look forward to going through more sections of your site and not only reading what you’ve written but also the comments from others – sometimes they have even more useful information in them! Hi, I just bought this system and had the nutribullet prior for extract juicing. I was looking at something bigger because I love to make a lot and fridge it up for the week I have a question/suggestion, what about just adding more water to the pitcher when juicing. I always had to do this with the nutribullet to help smooth it out and it really worked and wasn’t as thick. It also helped with the seeds of berries. Another question, can you do any kind of nut because I add nuts to all my juices in the nutribullet so I would assume the same would be for the ninja mega?? Thank you for all your reviews on these products, they are very helpful! You totally could add more water in the pitcher when juicing if you like to keep the pulp – that’s definitely a personal preference item. I like to add the ice cubes because it also chills the fruit/veggies, and seems to help smooth out the greens (if using). But, yes, you could do this! It can do any kind of nut, no problem at all. Enjoy! 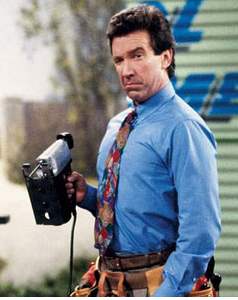 I was considering the Ninja Mega Kitchen System with the optional veggie slicer. I am currently about 30 lbs. over my ideal weight, most of that is my spare tire. How does the Ninja work on spare tires? i got the Ninja 1500 a week ago after juicing with a $50 one for almost 6 month. was hoping to get something stronger and bigger..makeing a lot of green smoothies and find out that all the greens stay between my teeth with this one:( help? 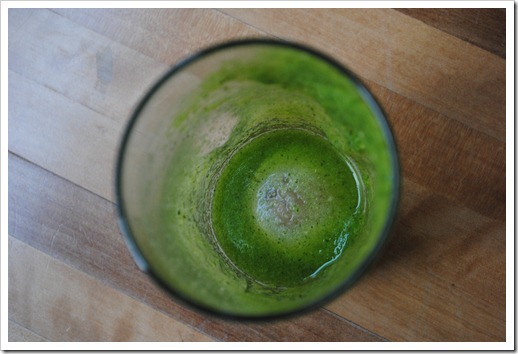 2) Make your green smoothies in the single serve cups. The blade design is more “traditional” and you will get a very smooth green smoothie from the get go. I usually add the liquid and greens into the cup first, blend to pulverize and make more room in the cup, and then add remaining ingredients. I do a lot of juicing so I liked the idea of the big pitcher so in order to make more smoothies, I make everything in the big pitcher and then transfer into the smaller cup to to do a proper extraction of the pulp to make it more smooth. It is a little more work but I can still make a bunch more at one time and then I just transfer to other cups that I have bought. It works out okay but the blade are meant more for blending rather than pulverizing, but they do an ok job compared to any other blender out there!! Rachel, that is a good tip, thank you! I have heard of others doing that as well. I think it just depends on your tolerance for more dishes. Personally, I think your solution is a great one! Thanks! My husband just purchased the Ninja for me and wanted to know if I can “juice” carrots in this? Do they have to be par cooked? I would like to make a carrot apple juice…maybe with some celery? Thank you! You can make carrot juice with the Ninja and they don’t have to be cooked, but it will have to be strained. Some people don’t mind straining the juice, some people are totally put off by it. Personally, I don’t mind straining because it’s still easier than cleaning a juicer. Thank you for your reply. I haven’t even had time to use the ninja yet! But I think it’s time to this weekend! And I am going to start with carrot apple juice. Do you think if I blanched the juice it would be less pulpy? What do you strain the juice through? Thanks again for the tips! I personally wouldn’t blanch the juice – the amount of pulp will be the same since it is still in there. I strain the juice using a mesh over-the-bowl strainer (you can get them at Target or even a grocery store), but you could use many things. A lot of folks use nut milk bags for fast straining. Have fun! Wonderful! Thank you….and why didn’t I think of milk nut bags! lol! have a great weekend! Hi, I recently bought a Ninja Kitchen System and have been making smoothies with it. I haven’t been satisfied with the creaminess of the results. I often include kale and spinach. My old Oyster blender would deliver deliciously creamy smoothies. Any suggestions? I was so excited to obtain the new system, but have been rather disappointed as of yet. I make a ton of smoothies and I like a finer texture. What Ive found is I freeze everything with the exception of my liquid and yogurt. I dont use any ice cubes the frozen fruits and veggies blend better and the yogurt smooths out the texture and thats my protein source rather than a protein powder. I use about 1/2c of yogurt to my mystery smoothie of the day is. Works great. Thanks for this review! I recently saw the Vitamix 5200 at my local fair, and ALMOST purchased for $500. I’ve wanted a quality whole-food juicer for a long time. I am leaning much more toward the Ninja Mega system now since it seems to function very much the same. It’s been a little while since anyone has posted here. Are there any new updates to share? How about cleaning the machine? 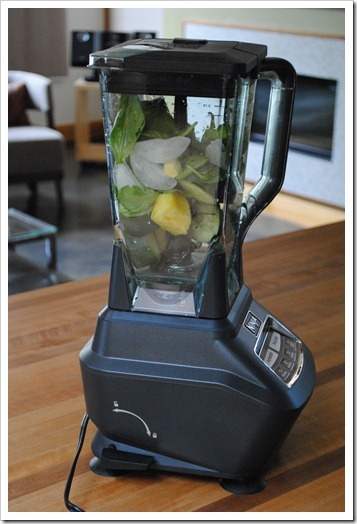 Also…as the blades are sharp (not sharp in the Vitamix) I’m wondering how often they will need to be sharpened. The notable item that I always point out is the difference in blade design. 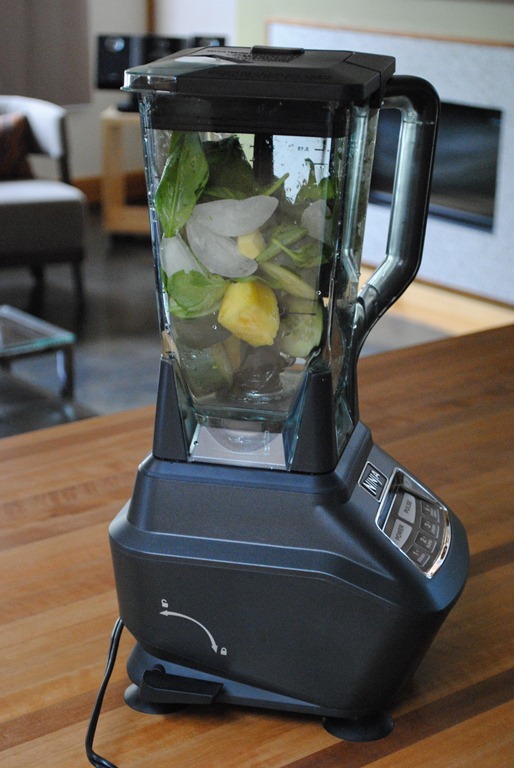 The Ninja pitchers will not get greens quite as smooth as a Vitamix in as fast of a time (you have to add ice and blender longer in the Ninja to get a smooth green drink), but, there are so many neat things the Ninja can do because of the blade design. It is really versatile. The single serve cups will pulverize greens quickly, for what it’s worth, due to their blade design. Washing is easy – put it in the dishwasher or add a drop of soap and blend for 30-45 seconds and rinse out, much like a Vitamix. The blades do not ever need to be sharpened. For what it’s worth, I’ve had the Mega for almost a year now, use it every day, and it is still going strong. I decided to try out my Ninja to see if it would be adequate for juicing. I have to say that when I used fruit it was wonderful. I used one grapefruit, one apple, and 2 peaches. All I could really taste was the grapefruit, but it was drinkable. I think I would only use part of the grapefruit next time. One smoothy I have made before was peach, apple, and blueberry. It has a great flavor. It would probably be a wonderful juice too. The only part which would be different is that it wouldn’t have milk and yogurt which I typically put into my smoothies. I then decided to use veggies. YUCK! It was like eating dirt. The texture was horrible. BUT, I used a beet and I think that was too much texture for a juice without using a “real” juicer. I had also used celery, spinach, kale, and carrot. I really feel it was the beet that made it taste like dirt (yes I did wash it – lol). I had to add water to this combination, because it was not turning to juice. It was chopped veggies in a blender. I think I would recommend using some type of fruit to offset the blah taste of the veggies, but I think it’s important to have more veggies throughout the day than fruit. I would tend to agree that the beet is probably the culprit in your “dirt juice”! Did you peel it? If I’m adding beet to a juice or smoothie, I tend to use a small-ish chunk since a little goes a long way. It’s all a trial-and-error thing, so good on you for trying lots of different combos! I just bought the Mega Kitchen System 1500. Am looking for green juice & smoothie recipes – any ideas? Thanks for your posts!!! Really helpful! 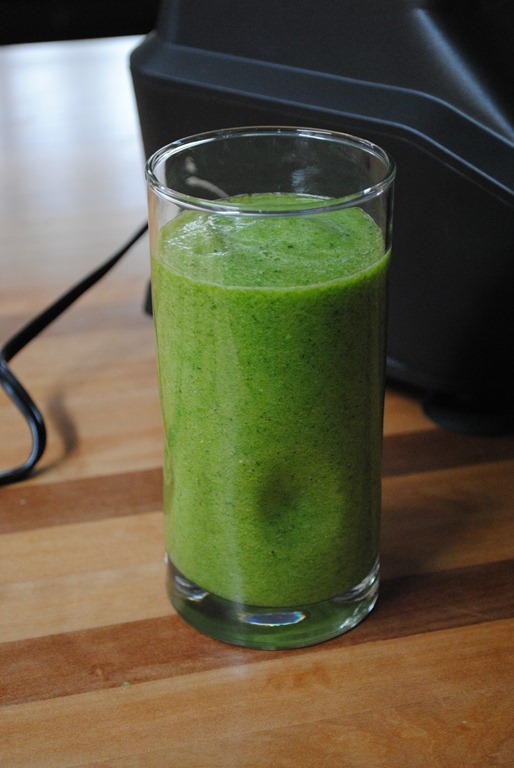 I have several green smoothies and juices on my Ninja Blender recipes page. My favorite is this one: http://testkitchentuesday.com/2012/06/18/juicing-with-the-ninja-blender-part-2/, which you can either strain or drink with the pulp. It’s tasty. But, like I said, I have several if you surf on over to my Ninja Recipe page. Just recently got a ninja blender as a Christmas gift and I’m super excited to try it out! Ive always wanted a juicer but didn’t want the worry about the trouble of cleaning a juicer so I heard the ninja was another great option. My only concern is that I don’t always want to have to worry about straining after making a greens drink so my question is will that be a concern of what kind of fruits and veggies I put in or just a matter of adding more water or ice in? I don’t mind pulp but I would like to just drink a nice smooth drink instead of having to strain. Also if I wanted to make a greens recipe in the big pitcher could I make it and store it in the fridge or would that not last long? The Ninja is definitely an option for juices with the pulp if you don’t want to strain. The key is exactly what you said – add in more ice to make the pulp more drinkable. If I am making a vegetable/fruit drink that I’m not going to strain, I typically add a handful of ice and make sure to include some “watery” type ingredients (cucumber, melons, etc.). The more ice you add, the more drinkable it will become, but this all sort of varies depending on your ingredients, so you’ll have to play it by ear a little. Start small with the ice and adjust until you get a consistency you like. You can make a drink in the big pitcher and store it up to about 24 hours with no issues. Sometimes, I make my morning breakfast smoothie the night before and then just “freshen it up” by re-blending for 10-15 seconds in the morning. Just wondering if the ninja blender will grind up flax seeds, almonds, other nuts/seeds. The nutribullet had a milling blade that I would use to grind the seeds or nuts by themselves separate from putting them in a smoothie. Do you know if the single serve cup blade will do this? I know it grinds them down when added to a smoothie, but how about if just the nuts/seeds are in there alone? Yes, the Ninja will grind up flax seeds almonds and other nuts. You can even make nut butter if you want. If you have the single serve cup, you can get the best grind (a finer grind) but even the 72 ounce jar will grind. I am interested in making single serve apple cider made to order at a farmers market from our orchard’s apples. Can the new ninja with single serving make cider without removing the apple peel? Do you think it would be a good option for single serve made to order drinks? Looks like it would be simpler to clean than a juicer especially for one serving. Thanks. I wouldn’t recommend the single serve for this. It could make apple cider smoothies, yes, but if you want to make cider-like juice , you will have to strain the juice after blending it, which takes time and wouldn’t be great in a customer-type setting, in my opinion. I’ve had my ninja mega KS for about 2.5 years and love it. I also have the nutri bullet that I use for (supersize) single smoothies when everyone wants a different flavor and for nut butters just because it’s a smaller machine. I recently saw the demo for a vitamix 6300 and at my request, the guy put carrots (with crushed ice and lemon juice) in and after blending for a few minutes he had actual juice. I drank it and there was absolutely no pulp. I’ve never been able to do that with the MKS. Is it possible to do this in any way with the MKS or maybe the vitamix did it because it is the 6300 and/or he used baby carrots (which I never buy). Looking forward to your response. Thanks! Great question! I have never actually tried this with carrots – I usually strain the carrot juice (and, since I got a juicer, just juice them straight up). However, I will give it a shot for you next week (need to go get baby carrots) and write up a post. The whole food juicing definitely works with softer things like in the Dr. Oz detox drink, but, my hunch is that there will be pulp with carrots, but we’ll see! I also just got the Ninja Ultima, so I’ll be curious to test how it does in that, which has more of a Vitamix-type capability. I haven’t forgotten about you! I am working on a post about this for next week, so stay tuned! So, I posted back on October 12th and I recently took action and bought the Mega Ninja. I LOVE IT!!! I’m new to the world of smoothies and juice and there is one recipe in particular that I’ve had great success with. I use non-fat greek yogurt, a banana, almond milk, peanut butter and two cups of baby spinach. It’s a delicious meal replacement smoothie! I personally do not use ice in most of my smoothies. I prefer a very smooth texture. I think the ninja does a great job at breaking down the spinich. I add the liquids and banana first and blend for about 30 seconds, then add in the spinach and let it go for about a minute. I seem to get better results using the big blender but I’m still just learning! Congrats on taking the leap and thanks for sharing your recipe! Im interested in possibly doing a juice only fast, I have a gluten issues and wanting to give my intestines a break. I have heard masticating juicers are the best, but I own a ninja kitchen system now. Would it be possible to make great juices? The best thing to do in this situation is add a handful of ice. The ice helps break up the pulp better and also provides a better consistency. It will still be thicker than juice, but more drinkable. Good luck! Hi Angela, first off thank you so much for all of this Ninja information it’s wonderful! I received the Mega Kitchen System for Christmas and I LOVE it so far! I am slowly learning how to make delicious smoothies and am trying to learn how to do more “juicing” with it without having to strain. 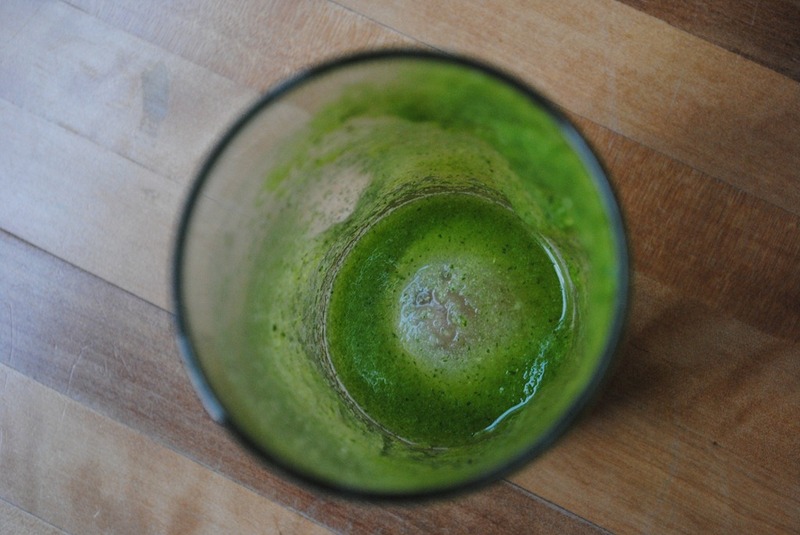 I see in this blog post you said you used a slightly modified version of Dr. Oz’s green juice recipe … can you give me the exact recipe that you used for this? It looks wonderful and I’d like to write it down and try making it this weekend, thanks in advance! Blend on “2” until completely combined and enjoy! Awesome thank you so much! My only question is can you use plain water in place of the coconut water? I have a Brita pitcher so perfect, thanks again! I generally only use plain unsweetened almond milk in any of my smoothies and don’t think that would go well with this recipe. For this application, there is no real difference between Ninja Pro and Ninja Mega. I have been juicing, but I lose all the pulp, which is really good for the body, so I ordered the new Ninja Mega System from Amazon, and when it arrived, I tried juicing in the single serve container. I chopped up a green apple, no core, a small peach, and I added 2 TBS crushed pineapple, 6 mint leaves, a slice of ginger, a capful of greens powder, a squeeze of lemon & some stevia with some ice cubes. I got a delicious, thick glass of juice–with no pieces, just a rich, tasty juice. It is supposed to be thick! You are getting all the nutrients. I am very pleased, as I thought I would have to use the blender to get decent juice, but this Ninja is quite powerful. I love it. I juice carrots and apples every morning before I go to work, it’s messy … Grrrr. I just received my Nutri-Ninja Blender DUO ( I’m So Excited !!!! ) I was wondering is there anything else I need to add in there .. I see everything else has some kind of liquid in it. Any suggestions would really help. Has anyone tried wheatgrass juice in their ninja? I would venture to guess that wouldn’t work out so well in the Ninja, unless maybe you snipped the grass and froze it into ice cubes full of water. The Ninja blades aren’t great with small items–they really need volume to work.